As the Greek debt crisis continues, I continue to find suggestions of ways to show solidarity with Greece. This morning I suggest showing solidarity with local Greek communities by eating in a local Greek restaurant. Many Greeks living on these islands are worried about their families and friends at home. Many are collecting for charitable efforts back in Greece. Many have parents and grandparents who depend on remittances from sons and daughters, brothers and sisters, who have emigrated. Emigration has been a brain drain for Greece, depriving the country of innovators, entrepreneurs, intellectuals and political activists. There are about 500 to 1,000 Greeks living in Ireland. Many feel isolated at the moment, and many struggling to send money home. A few are involved in running restaurants. But others include academics, dentists, business people, lawyers, IT professionals – indeed, they work in all walks of life. In recent weeks, members of the Hellenic Community in Dublin has gathered in two Greek restaurants in Dublin to discuss what can be done to help people at home: Mykonos, which opened in Dame Street recently, and Corfu in Parliament Street. There are at least two other Greek restaurants in the greater Dublin area: El Greco at 73 Main Street, Bray, and Cape Greco in Malahide; and there are other Greek restaurants throughout Ireland, north and south, including Dollakis in Enniskillen. 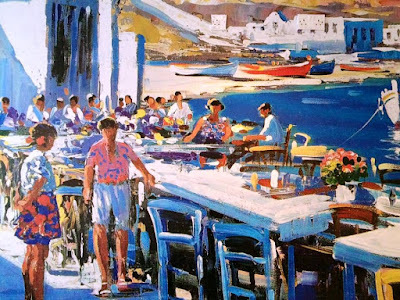 Eating in Greek restaurants is a gesture of solidarity with the Greek community in any town or city. The restaurant probably sources much of its food locally, but wine, spirits and coffee may be imported from Greece, so your custom helps support Greek exports, and your custom helps a family here to send back money to Greece. I know of no Greek restaurants in Lichfield, but there is a good taste of Greece and the Mediterranean in both Ego in New Minister House on Bird Street, overlooking Minster Pool, and in the Olive in Tamworth Street. In both places, Greek-sourced ingredients are often used in the preparation of meals. Greek restaurants close to Lichfield include the Greek Restaurant at 80 Bolebridge Street, Tamworth, the Athos Restaurant at 24-42 Freer Street, Walsall, and Eleon, the Greek restaurant and meze bar at Maney Corner in Sutton Coldﬁeld. Eleon takes its name from the olive groves that have covered the landscape of Greece since the beginning of history. It is a family-run Greek restaurant and meze bar and the menu reflects the flavours and memories of hand-made family meals. Further afield, there is a wide choice of Greek restaurants in Birmingham. I know at least three Greek restaurant in Cambridge. The Varsity Restaurant on Saint Andrew’s Street, close to Emmanuel College, was a long-standing favourite. Sadly, it closed last January after a fire destroyed half the kitchen. Hopefully it will reopen soon, even if not before I am back in Cambridge next week. The Olive Grove at 100 Regent Street – nearby landmarks include the Roman Catholic parish church, Church, Downing College and Parker’s Piece – first opened three years ago, with the long-standing culinary tradition of the Maniot Kontakos family from Greece. 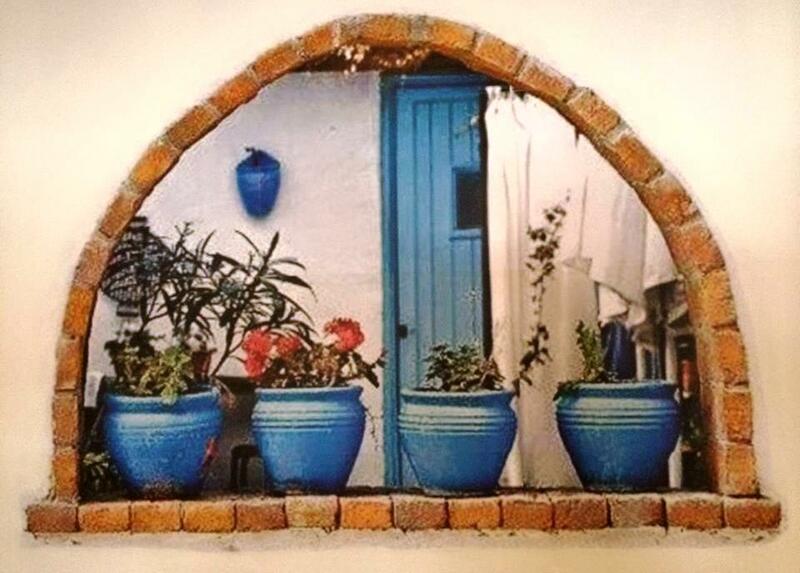 The third Greek restaurant I know in Cambridge is the Gardenia at 2 Rose Crescent in the City Centre, close to Gonville Caius, King’s, Sidney Sussex, Christ’s and other colleges. As you can imagine, this place, owned by Vas Anastasiou, was long a student favourite and a popular late-night destination for town and gown alike. Now, however, “Gardies” could soon be taking its last orders and may see its lease revoked. Students have made a number of complaints, including complaints that noise at exam time has disturbed their revision at night and their sleep. An email sent to students at Gonville and Caius College, the restaurant's landlord, confirms the lease is being reviewed. In London, Greek restaurants I have enjoyed include Konaki in Coptic Street, close to the Penn Club, where I stay sometimes, and close to the British Museum, which still holds onto the Parthenon Marbles. This restaurant has a curious mixture of faux Tudor black beams and Greek music, but it is still one of my all-time favourites in London, and has been on the scene since 1985. In summer time, the courtyard at the back of the restaurant is one of the most delightful places in London for lunch. I also found a little corner of Greece in Ealing in West London, when I was studying Patristics and Latin in Ealing Abbey. Pitshanger Village is less than a 10-minute stroll from Ealing Abbey, and Pitshanger Lane has numerous small shops, several cafés, two pubs, two churches, a library, a school, an Anglican parish church (Saint Barnabas) and a Methodist church side-by-side, a park and – to my delight – a Greek restaurant named Atlantis. The conversations around the table there have been about Athens and Thessaloniki, Olympia and Lesbos, Rhodes and Corinth, Crete and how to get to Kastellorizo. Obviously, my favourite Greek restaurants are Greek, and there is no more authentic Greek food than the food in a restaurant in Greece. But I have eaten in Greek restaurants around the world, from Johannesburg to Brussels, Copenhagen and Orlando. But it does not have to be all bouzoukis and smashing plates to enjoy authentic Greek food in a Greek restaurant near you. And you may get a taste not only for Greek food, Greek wine and Greek music, but a taste for Greece itself … and decide to go there on holidays., or lobby politicians to change their minds about restructuring Greek debt and about Greece’s place in Europe.